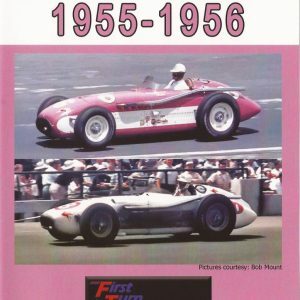 In 1957, a car arrived at the Indianapolis Motor Speedway which would change the way a conventional Indy roadster was designed and built. 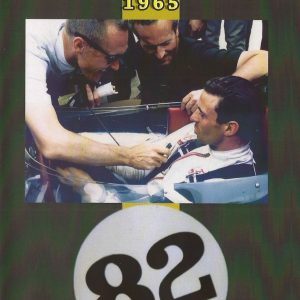 George Salih, chief mechanic on the winning #99 Belanger car of 1951, took his knowledge of past car designs such as the Novi, Blue Crowns, Cummins Diesel, Kurtis KK500 “roadster” and others to create a new car with a twist, the engine was laid over on it’s side. This radical roadster chassis design, with the engine tilted 72-degrees to the right, gave the car a profile of just 21 inches off the ground – the “lay-down” was born. Salih looked for financial support to build the car but, as no one felt it would work, there were no takers. Not to be discouraged, Salih took the risk himself and built the car next to his California home. After several months of hard work, the car was finally finished – now all he needed was driver. 42 year old veteran driver Sam Hanks, who’d come close to winning the big one several times in recent years, agreed to give the newly designed car a shot. 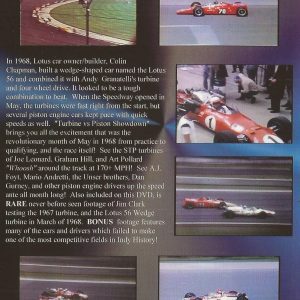 Hanks would qualify in 13th position at a respectable 142.812 mph which put him on the inside of the fifth row. 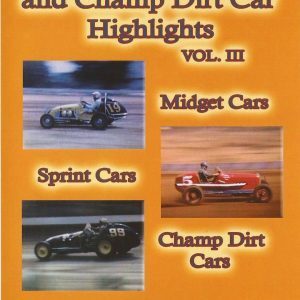 Hanks moved up through the field and eventually took the lead battling with Paul Russo, Jim Rathmann, Pat O’Connor, Johnny Thompson, Troy Ruttman and others along the way. 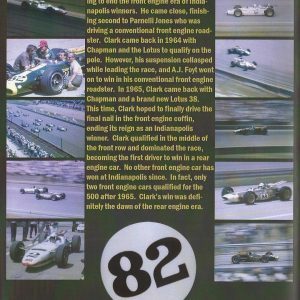 He would lead 136 laps on his way to victory and as he came down pit road he began to cry as the realization he had finally won the Indianapolis 500 began to sink in. 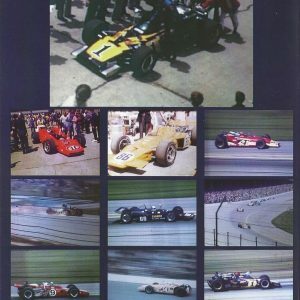 The car no one thought would work and the one owner, designer and builder George Salih risked everything for, was now in Victory Lane at Indianapolis. Sam would go out on top by announcing his retirement in Victory Lane which left Salih with a winning car in search of a driver. 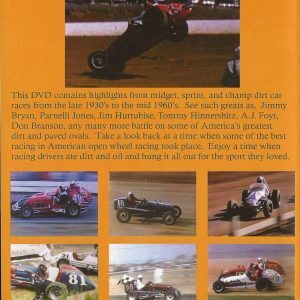 Jimmy Bryan, like Hanks, had come close in recent years to winning the ‘500’. Close, but no cigar. With his contract to the Dean Van Lines team fulfilled, Bryan was in search of a car and George Salih answered. 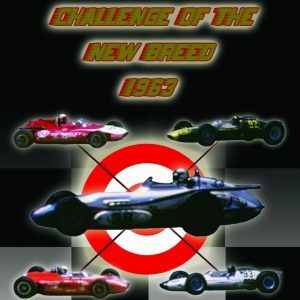 With the car a proven winner, the pressure was now on to repeat and this was especially so as other lay-down designed cars had now been built and entered for 1958. The hard charging Bryan was up to the task as he qualified the car at 144.035 mph landing him on the inside of the 3rd row. 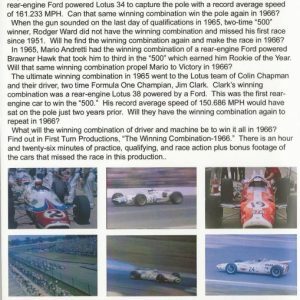 With the car solidly in the field, all that was left was the race itself. 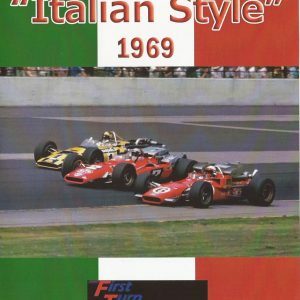 As in 1957, the cars started on pit road and were to form up in the traditional eleven rows of three out on the track. However, as was also the case in 1957, there was a problem as the front row was separated from the field. 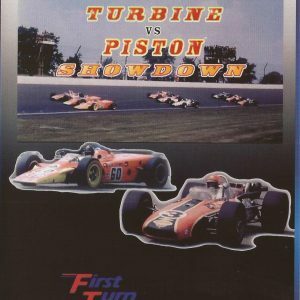 They managed to catch up and take their place as the rest of the field came through the fourth turn – the green flag flew and the race was on! 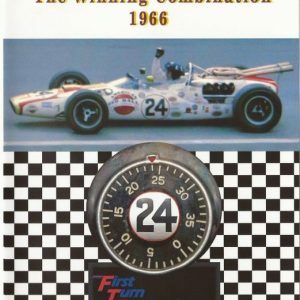 But it didn’t last long as a first lap accident in the third turn took out several cars from the field and claimed the life of the popular Pat O’Connor. Bryan managed to avoid any trouble and found himself in the lead after all was sorted out. 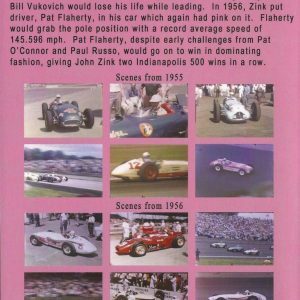 When the race resumed, Jimmy battled with Tony Bettenhausen, George Amick, Johnny Boyd, Eddie Sachs and others but it was Bryan who crossed the line with his arms in the air who took the checkered flag to win the 1958 Indianapolis 500. 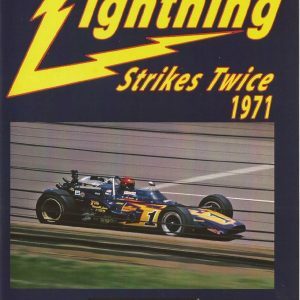 George Salih got two for the price of one and in the process he’d changed the way cars were designed and built at Indy. 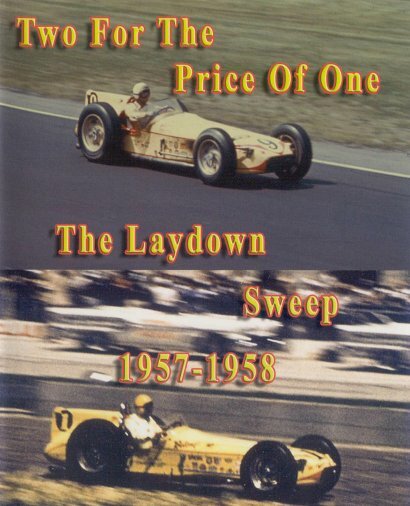 “Two For The Price Of One – The Laydown Sweep” brings you 60 minutes of racing action all in COLOR and in DVD format with music, engine sounds and narration + bonus pictures from 1957 and 1958 at Indy.